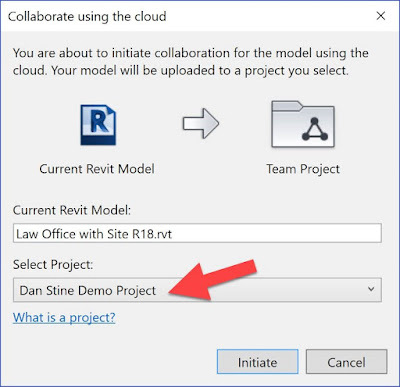 If your project team would like to work together, in a single cloud-based location, then you need BIM 360 Team and Collaboration for Revit (C4R). 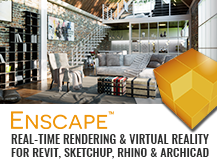 This is the only reliable Cloud-based way to work between different firms, and while you are away from the office. 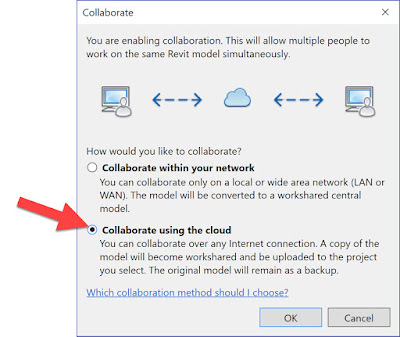 Drop Box, Google Drive and even Windows Remote Desktop should not be used to access workshared Revit models. Doing so will result in model corruption and slow access to those in the office. 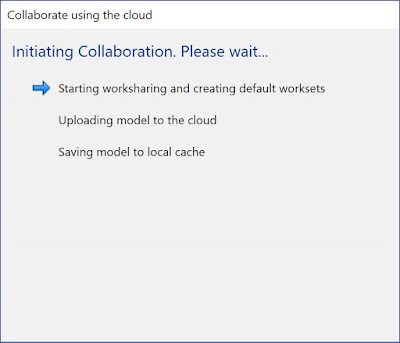 Using a VDI solution works (we use one), but that is a different topic with other limitations/challenges which I will not get into today. 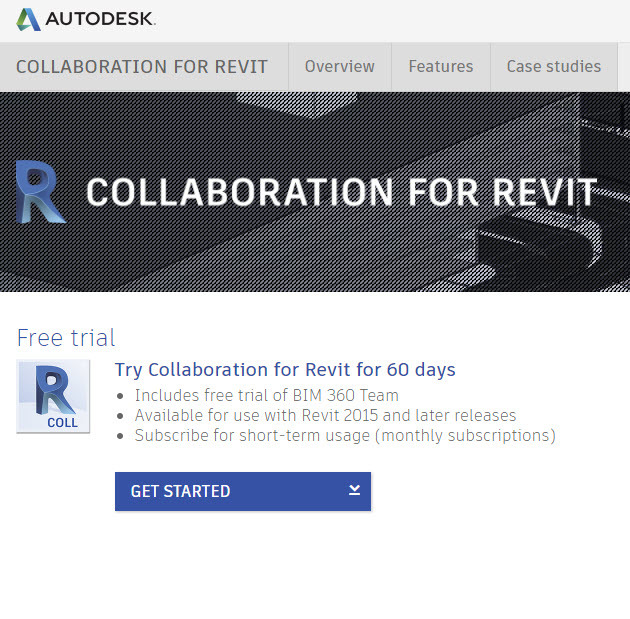 BIM 360 Team and C4R is an additional service from Autodesk. It is not cheap, but opens a lot of doors. 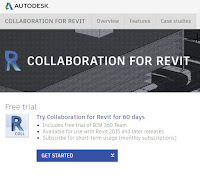 I know at least one firm, BKV Group, with over 100 Revit users who do ALL of their projects in C4R; one of their BIM Managers (Mike Matheny) and I used to work together. This allows any staff member to work from home if they have a sick kid, or from a coffee shop if they just want to get out of the office for a while. 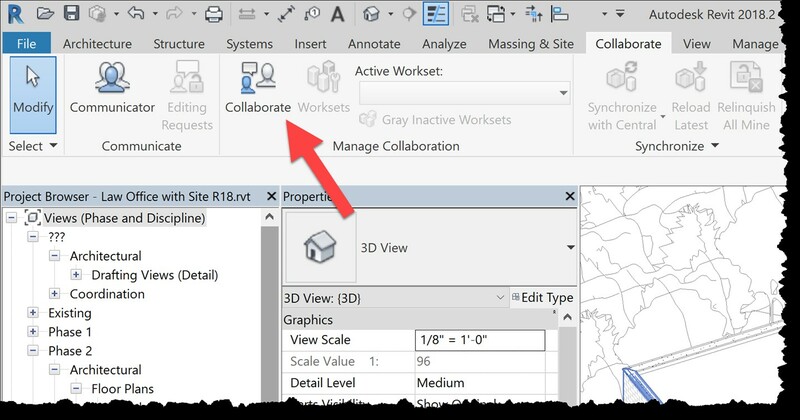 Plus, this also allows all projects to work with any structural and/or MEP consultants via the Cloud with live linked models. 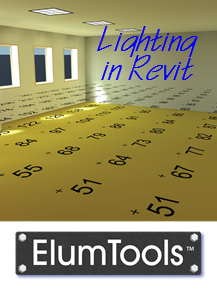 Internally at the multi-discipline firm I work at, we have been using live linked Revit models every day, on every project, since Revit Structure and Revit MEP first came out. 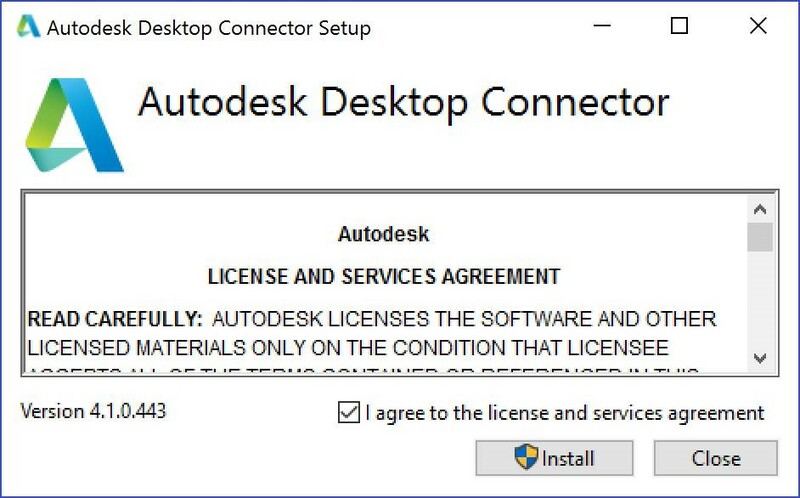 FYI: An 'Administrator' of this Autodesk service within your firm needs to invite you and give you access to C4R. 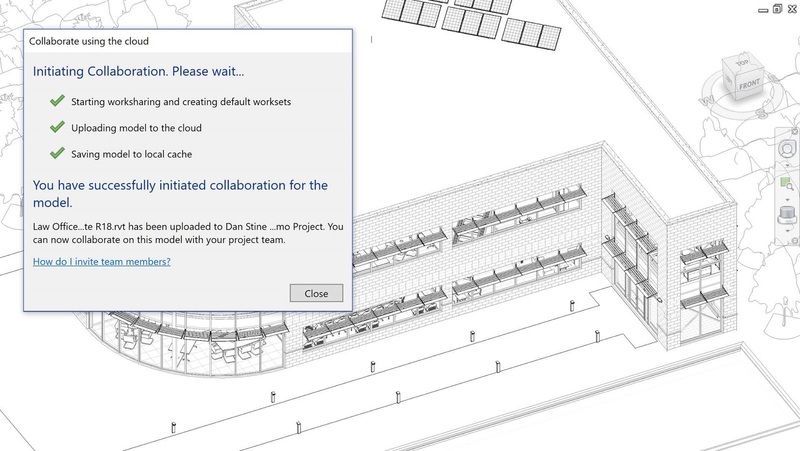 Log into Team 360 and make sure you can see your Hub & Projects, as shown in the image below. Save this page as a Favorites in your web browser. 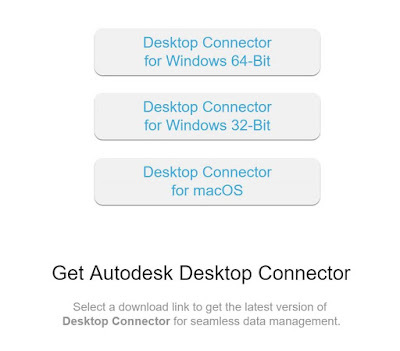 Then, install the Desktop Connector for BIM 360 (everyone needs to do this). This will give you the ability to easily share other files, like Excel and PDFs. 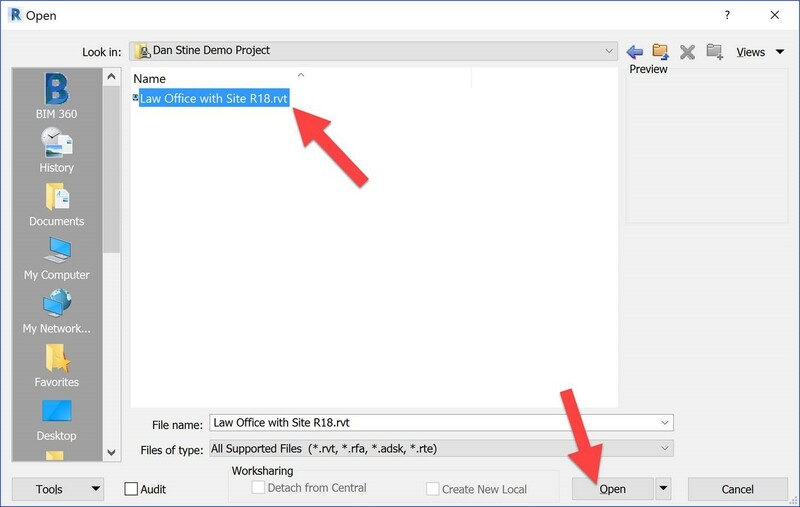 You now have a Dropbox/Google Drive-type folder on your computer (see next image). 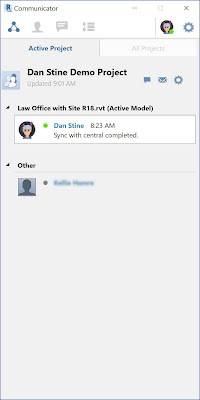 Anyone can create folders and place files there to share within your group. Only one person needs to do the initial setup in Revit to make the project sharable in the cloud. 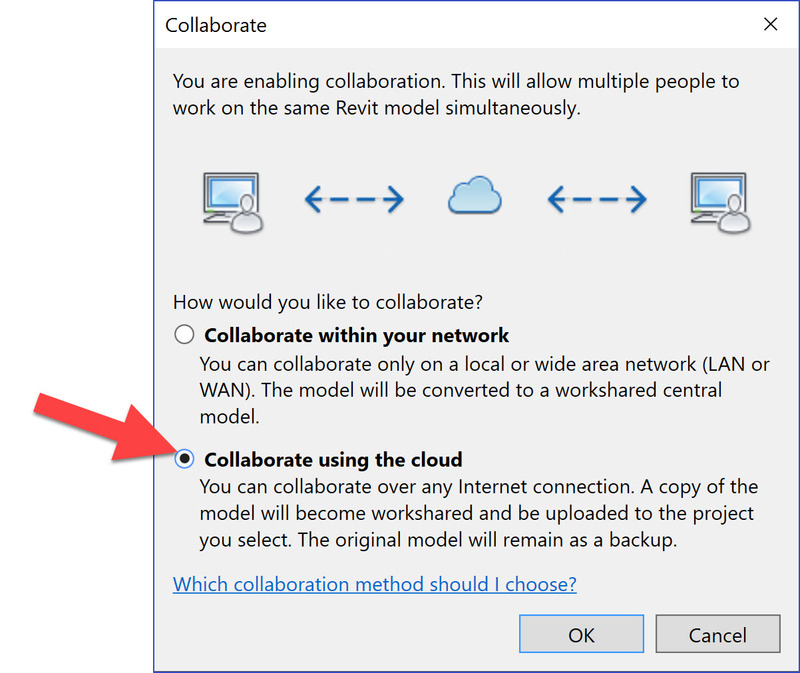 On the Collaborate tab, in Revit, Click the Collaborate command. 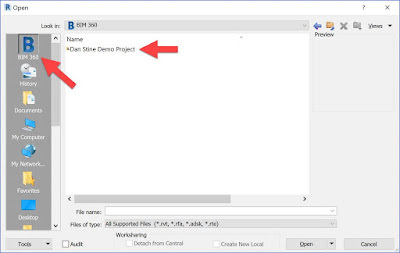 Make sure the correct project is selected. 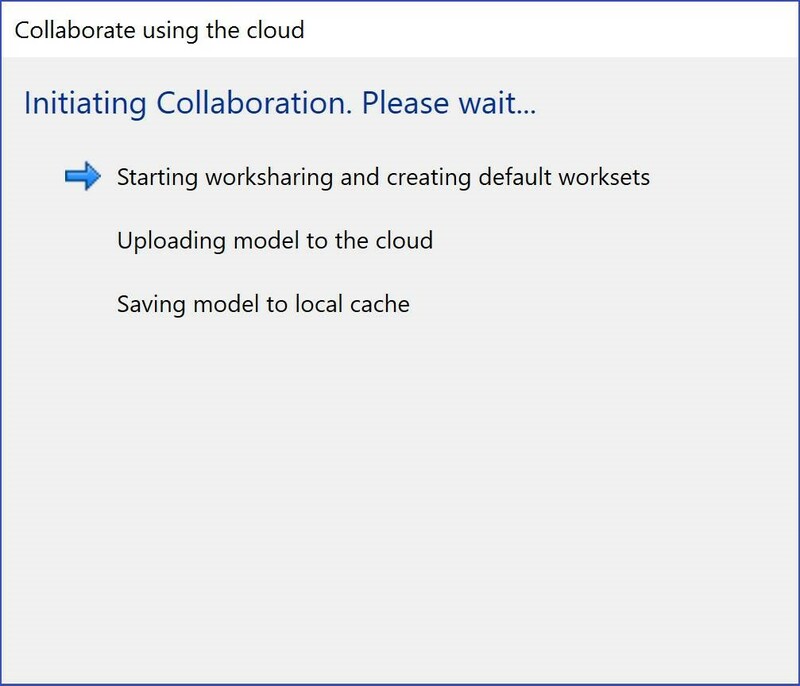 The file is being uploaded to the cloud. The file has been uploaded to the cloud. 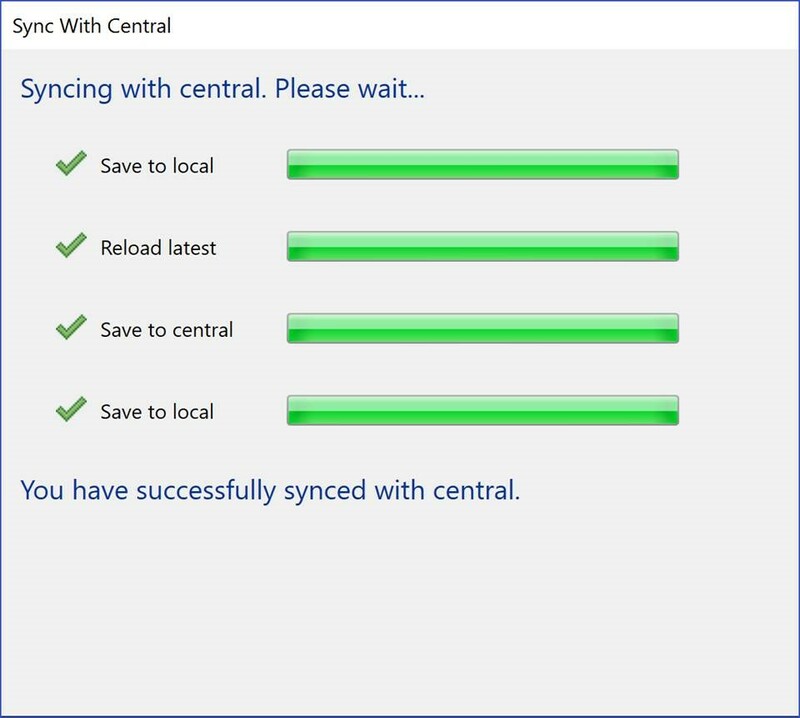 When done setting up the project, use the Sync with Central command to save all changes before closing. 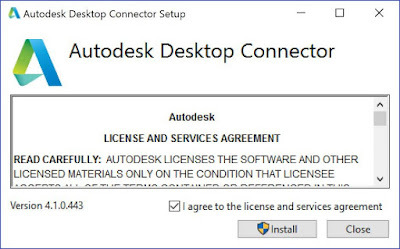 In this dialog, be sure to check all the boxes, if check-able, in the area highlighted with the red box in the image below. 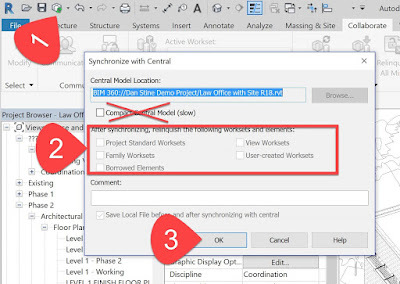 Anyone who works on the project, now follows these steps every time they need to work on the project. 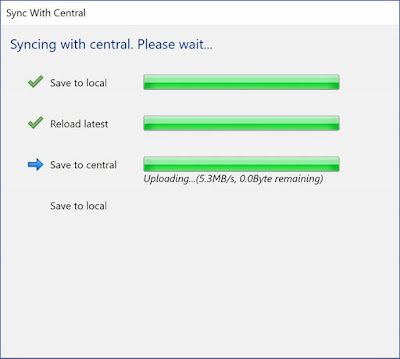 You must be connect to the internet with reasonable internet speed. 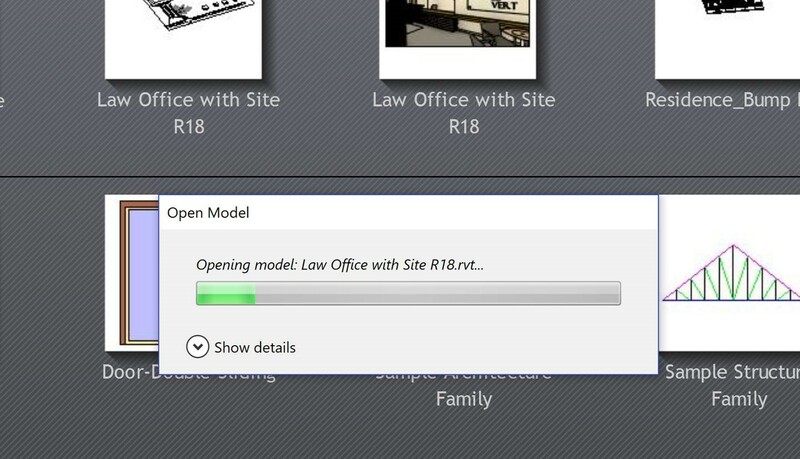 Select your Revit project and click Open. 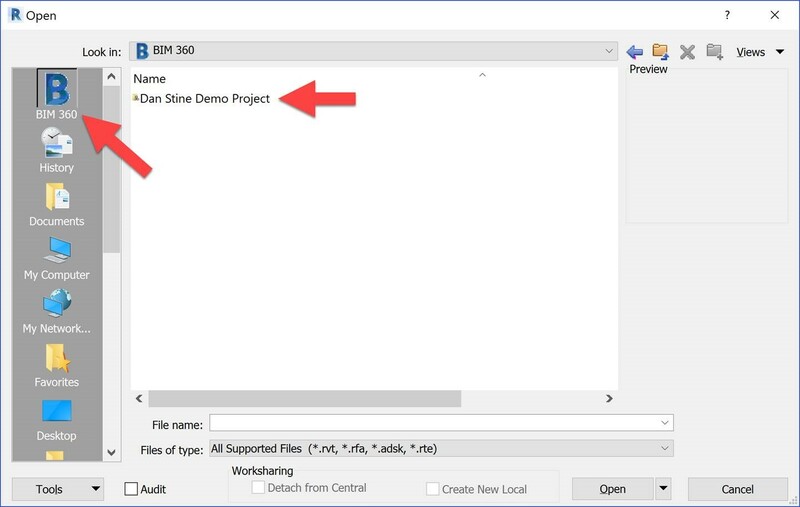 While working in the project, use the normal save icon (floppy disk) to save to your local computer all you want. 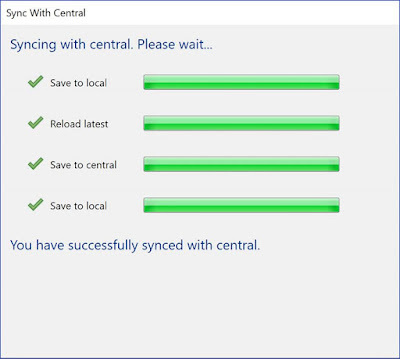 Every 30 minutes, be sure to use the Sync with Central command to save your changes to the cloud (this is also when you get other's changes as well). But do not do the Sync w/ Central too often as it will slows things down for the project team as they will not have access to the model while you are doing this. 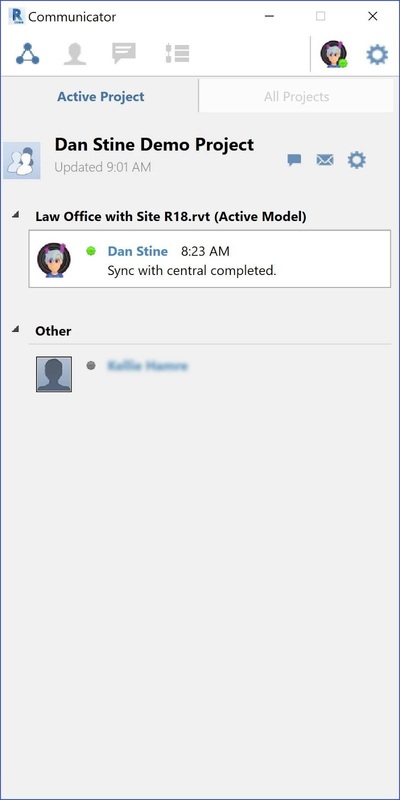 You will also have access to the Communicator dialog, which should open automatically. You can see who is in the model and send them messages. This Cloud-based service is very stable, overall. 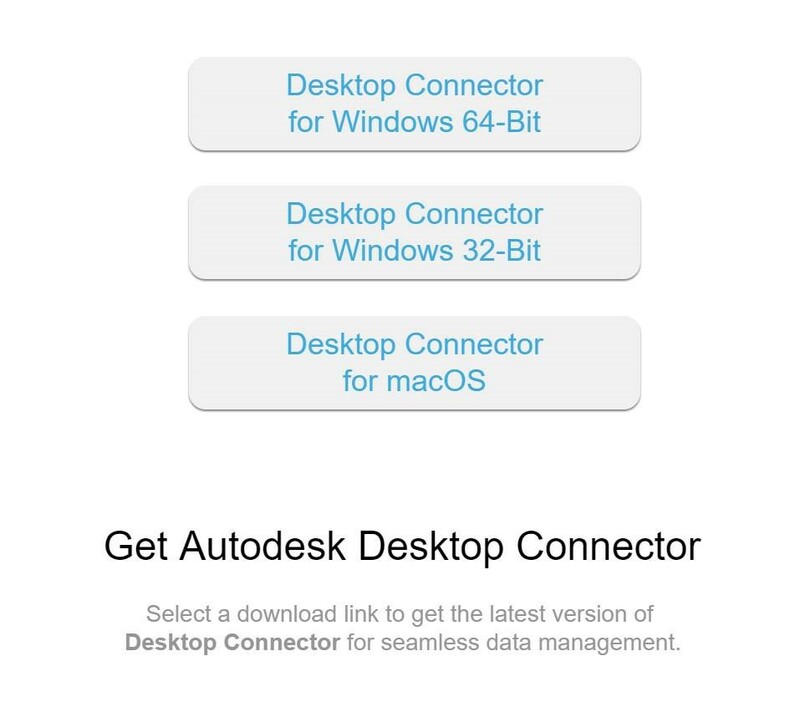 If you are having troubles, go online and check https://health.autodesk.com/. 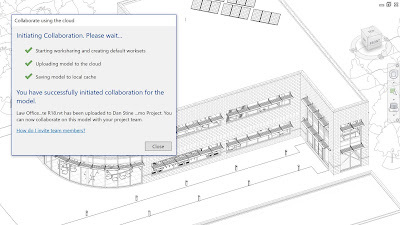 This is a real-time report on the current status of all Autodesk Cloud-based services. If your service is running normally, then there is likely a problem on your end. 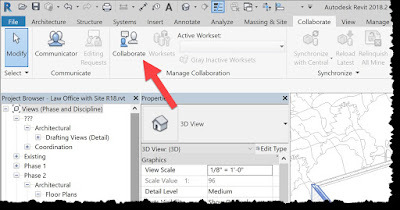 "You need to create a project and invite team members first, before the Collaborate button in Revit. Make sure the license is assigned by Contract Manager/Software coordinator (lic available for monthly or yearly terms. ) Each person working on the team needs to be added as a member."